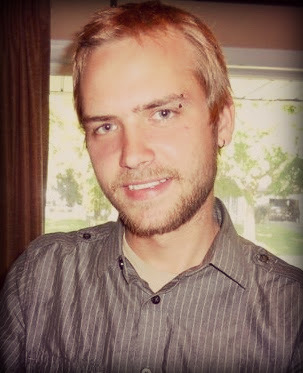 Jeffrey Harris Gullick, 29, of Mesa AZ passed away June 7, 2018 at Banner Desert Medical Center. Jeff was born August 8, 1988 in St. Louis Park, MN to parents Robert and Pamela (Holt) Gullick. Jeff is survived by his parents, Bob and Pam; brothers, Dan (Elizabeth), Brian (Katie), and Steven (Tiffany); nieces, Eleanor, Clara, and Harper; grandmothers, Sally Gullick and Pat Holt; girlfriend, Angela Melton; as well as aunts, uncles, and cousins. He was preceded in death by grandfathers, Ron Gullick and Norm Holt. The family will be hosting a Celebration of Life open house on Friday, June 15, 2018 at Bob and Pam Gullick’s home, 3000 Perry Ave N, Golden Valley, MN 55422, from 4:00pm to 7:00pm. Pam, I am so sorry for your son’s passing. My prayers are with you and your family. OMG! This is so heartbreaking! If there is anything, ANYTHING I can do, please let me know. I am so sorry that you are all going through this pain. I worked with Jeff at K12 Defense. I wish your family peace and comfort at this time. He was a wonderful young man. Dan, Elizabeth and family – So very sorry to hear about Jeff. Our thoughts and prayers are with you and the entire family. We’re so sorry to hear about your brother Jeff Our thoughts and prayers are with you Elizabeth and all the family. We’re so sorry to hear about your brother Dan. Our thoughts and prayers are with you Elizabeth and the entire family.